Supporting Local Shelters with Clothing Donations - Planet Aid, Inc. Planet Aid is helping local shelters in North Carolina with donations of clothing, shoes, and blankets. Items have been dropped off at ABCCM Veterans Restoration Quarters and The Steadfast House, a shelter for women and children. We look forward to working more with both great organizations in the future! 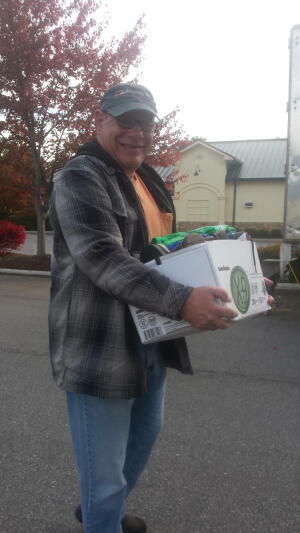 One of the residents helps unload donations.